Sigma Design Company estimating manufacturing could begin within two years. Jerry Lynch, president of the Middlesex-based Sigma Design Company, is taking the first steps toward testing, improving and manufacturing patented invention of Mr. Raymond Green: a specialized type of energy-generating wind turbine designed to prevent the accidental deaths of flying wildlife. The project could create as many as 25 new technology jobs. The blades of traditional wind turbines can kill birds, bats and other forms of flying wildlife. Estimates released during the last several years have ranged from several tens of thousands to more than 400,000 of such creatures dying annually. 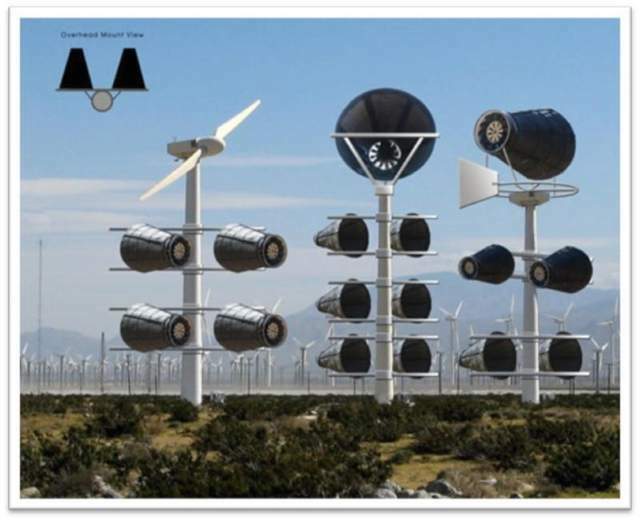 But Green’s Catching Wind Power Compressed Air Enclosed Wind Turbine eliminates external blades, and its patented inner compression cone technology squeezes incoming air as it is drawn through the turbine. This creates an increased power output with virtually no noise — the blades are internal, closer together and smaller. The turbine can be produced in sizes ranging from personal portable units to massive wind farm arrays. Lynch said Green actually tested a prototype by strapping it to his car and driving down the street to generate airflow. Lynch estimated that manufacturing could begin sometime within about 18 months to two years. Like solar paneling, the devices likely would supplement existing energy sources for commercial or residential customers, he explained.